The 2018 Land and Development Conference took place on May 15th, providing more than 900 attendees with views and insights on where the real estate sector is headed from the perspective of owners, developers, investors, and lenders. This year’s conference was titled “Resilience and Innovation in an Era of Change” and covered key industry issues ranging from affordability and land supply to transportation and regional competitiveness. 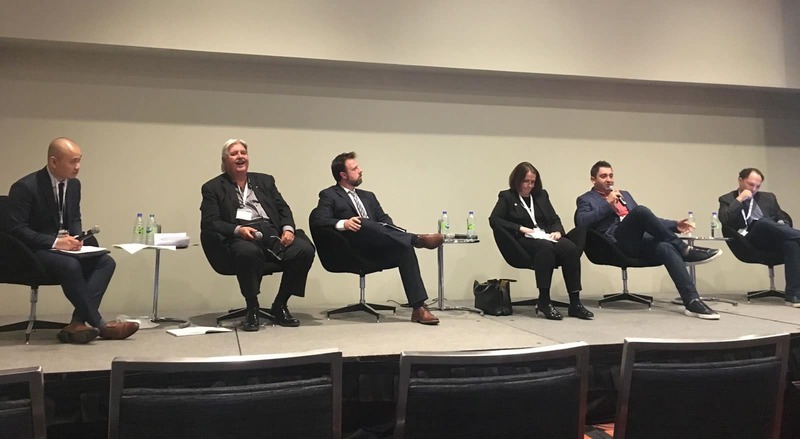 In addition to being an event sponsor, Greybrook participated in two panels during the conference and provided insights into the challenges, opportunities and risks in the Greater Toronto Area market. Greybrook Realty Partners CEO, Peter Politis, was a panelist for Session C4, titled “Single family homes are thriving in some markets and non-existent in others – how are developers making sense of supply of lands and demands of buyers?” During the panel, Politis spoke to how important factors like affordability and limited supply have and continue to impact the GTA housing market. During the next session, Greybrook Securities Inc. CEO, Sasha Cucuz, was interviewed by BMO Capital Markets Managing Director, Tony Reale, as part of the RealStories Series, to discuss his personal career journey into the world of real estate. Cucuz was joined on stage by Politis, where the two Greybrook Principals shared with attendees candid stories about the early years at Greybrook Realty Partners, their perspective on the current market and insights on the future of the company.